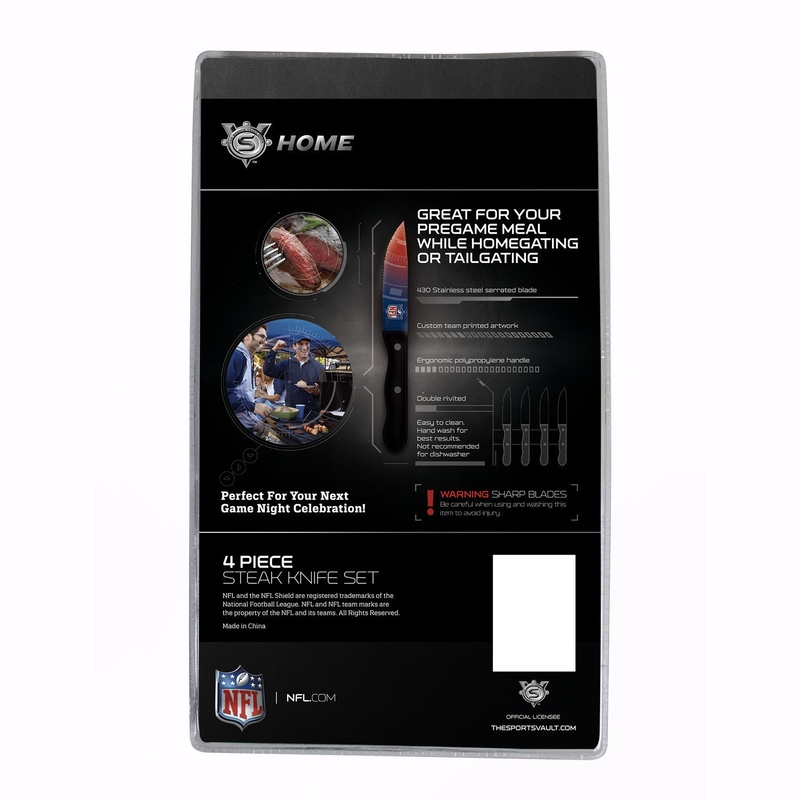 Own your very own slice of victory with the New England Patriots Steak Knives Set of 4. 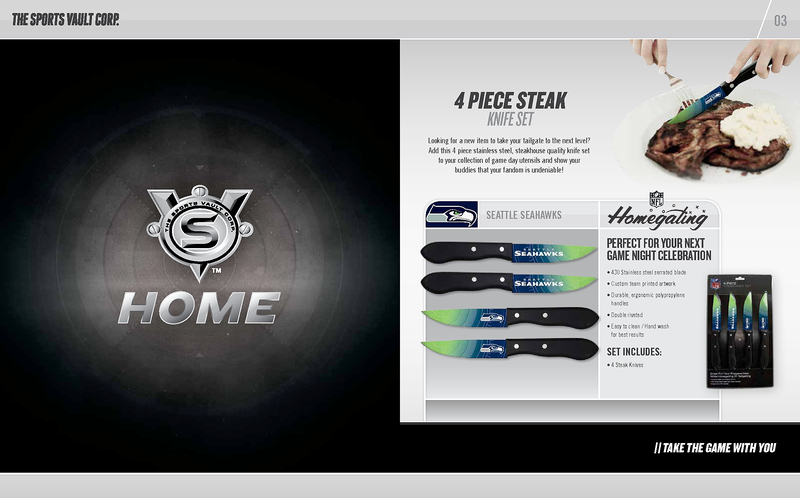 As Nfl officially-licensed cutlery, each knife features brilliant graphics on the blade, and the handles are wrapped in Patriots team colors. To protect the artwork, each blade is dipped in surecoat. The New England Patriots Steak Knives feature an ultra-durable stainless steel blade with serrated edges, so you easily slice through your favorite cuts of meat. The handles are made with a soft-grip polypropylene material that is non-slip, ergonomic, and designed for comfort. The blade is secured in the handle by two rugged stainless steel rivets. Whether you order the New England Patriots Steak Knives as a gift for a friend or as a personal keepsake item, you will be on the winning side. 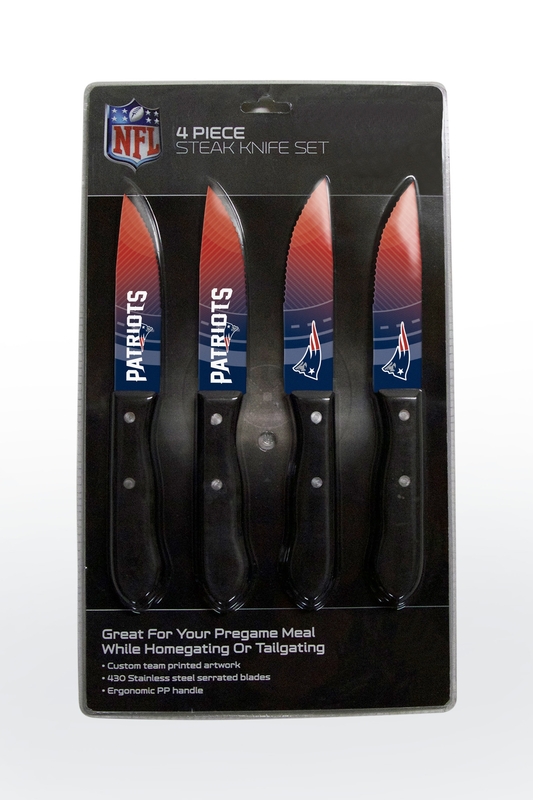 Score big and order the New England Patriots Steak Knives Set of 4 today.